YT3 Music Downloader has a simple and plain interface, and downloads start just in a few seconds! You will not get lost in the application. You will definitely find what you search. Lyrics will be shown as you listen to the music. Downloading mp3 could never be easier. You like to watch music video? Here you go. You can download low quality or high quality videos, as you wish. What is YT3 Music Downloader ? 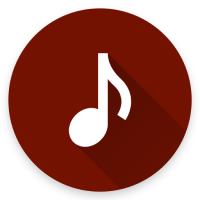 YT3 Music Downloader is an android application which lets you download any music with lightning speed. Follow us and share your opinions.